Ready to test your coding skills against students across Canada? Join the ECCE App Challenge! What is the ECCE App Challenge? 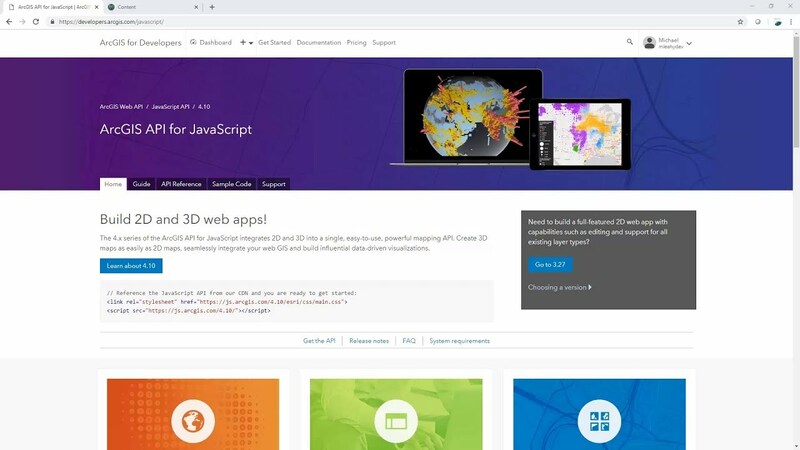 The ECCE App Challenge is a coding competition held by Esri Canada to help promote innovation and creativity within the Centres of Excellence. 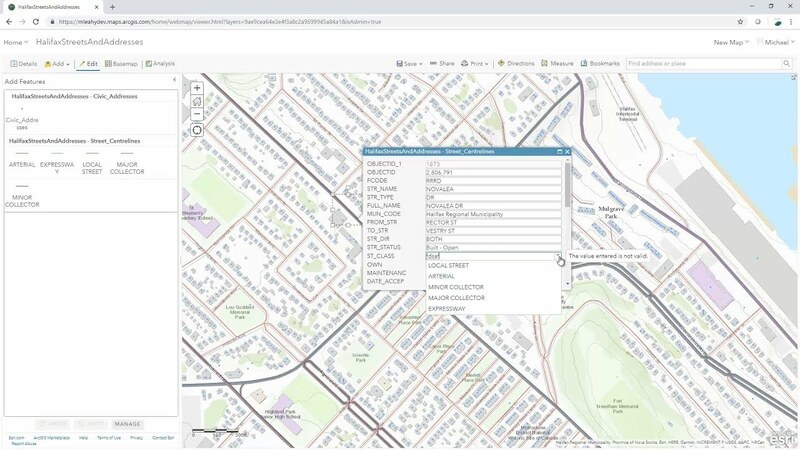 Each year, teams of students at ECCE schools across Canada are tasked to create new and unique apps powered by Esri technology and open data to help address a problem related to a specific theme. 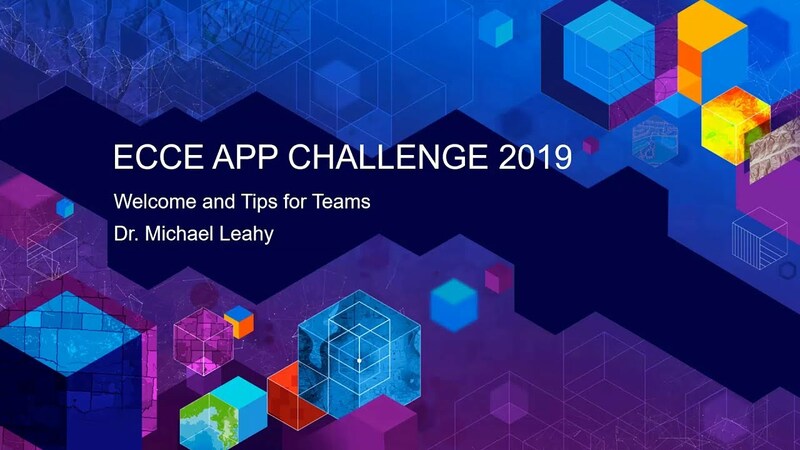 The App Challenge for 2019 will take place between February 15th and March 29th. Teams at each school will be given one week to complete their apps, and to submit their source code accompanied by supporting documentation, team profiles, and a video sales pitch for their app. These will be assembled and hosted in a GitHub repository used by the ECCE to showcase the apps created by each team. You may view previous years’ entries linked from the ECCE GitHub account homepage. 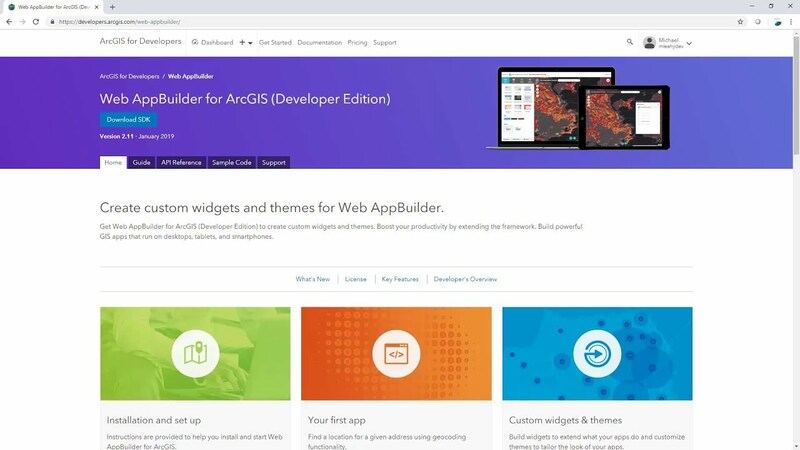 You can view the source code of each app submitted, and starting with the 2017 challenge, you can view profiles of teams, access their pitch videos via YouTube, and interact with live demos of their apps. The results of the 2019 competition will be posted here after all teams have completed the challenge by March 29th. Three external judges will be invited to evaluate all of the teams’ submitted apps, documentation, and videos. Aggregated results will be used to rank the teams submissions, and select the winners with the best overall scores. In order to register your team for the ECCE App Challenge, you must contact the ECCE director at your school. Provide your director with the names and email addresses of your team members, and choose a team name. After the judges have reviewed all of the submitted apps, a winning team will be chosen. 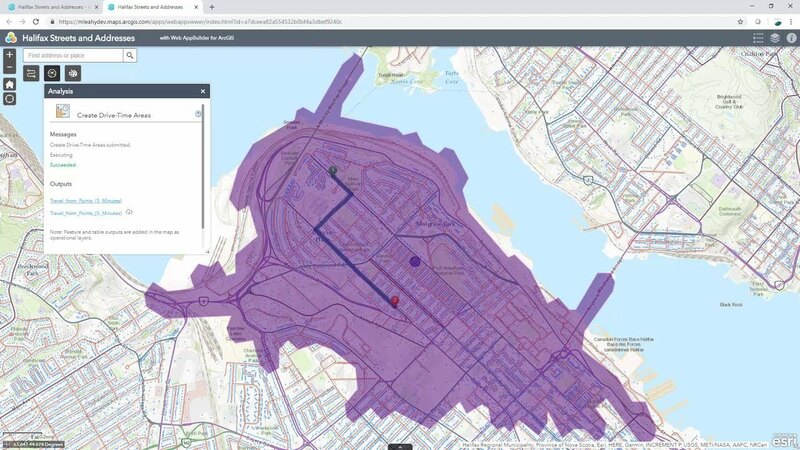 Winners will be awarded an all expenses paid trip for all team members to the Esri User Conference in San Diego, California (July 8-12, 2019). Github is a website and hosting service based on the Git distributed revision control system. It allows you to easily share code and facilitates collaborative software development. You may create your own Github account so that you can easily download and contribute to open source projects. You may use GitHub to manage the source code with your team for the app challenge, however please keep your project repository private until all submissions have been posted to the ECCE GitHub repository first after March 29th. 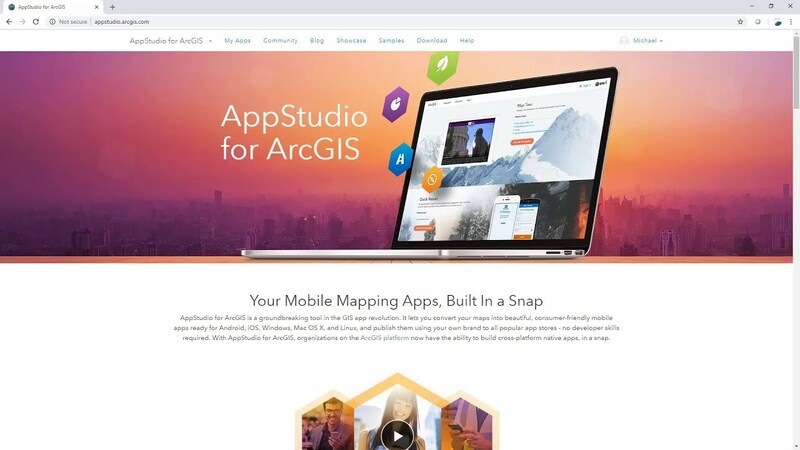 Please email a zip file containing your app and all of the required deliverables to ecce@esri.ca (if necessary, coordinate with us if you need to exchange large files or share access to a private GitHub repository). Once all submissions have been received from teams at all schools, they will be published in the the ECCE App Challenge 2019 Github repository. Three individuals from key areas of education and industry are invited each year to volunteer as judges. They will be named along with the winners and runners-up after judging has been completed. What are “open data”, and where can I get them? We’ve put together a series of videos to help you get started with the ECCE App Challenge. 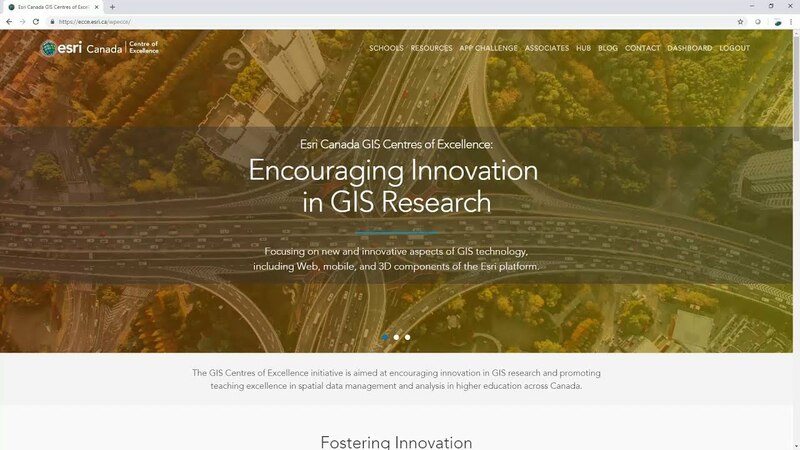 Please subscribe to the Esri Canada Centres of Excellence YouTube channel to keep up to date with the latest ECCE videos. Once you and your team have come up with a general idea for your app, one of the best places to start would be the ECCE Resources page. You can find many useful developer-oriented materials to help you build your app by using the tags listed to filter resources. You can also check out some of the example projects from past App Challenges hosted on the ECCE Github page for inspiration. 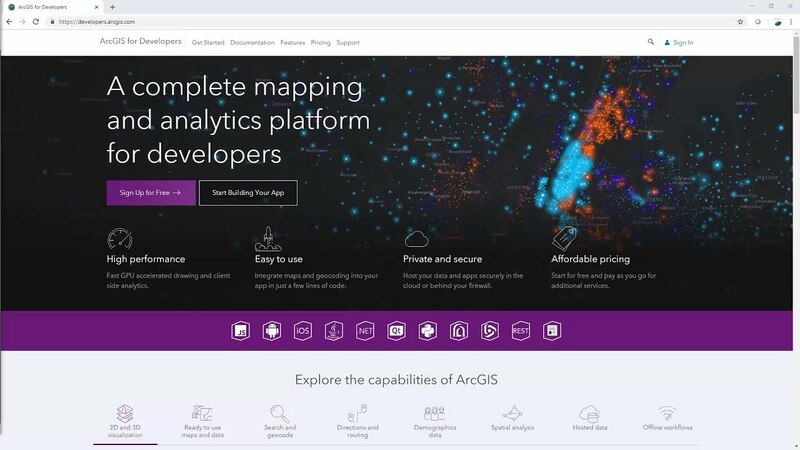 Lastly, if you need help to develop your strategy to succeed in the App Challenge, consider watching the free ArcGIS App Strategies training seminar. 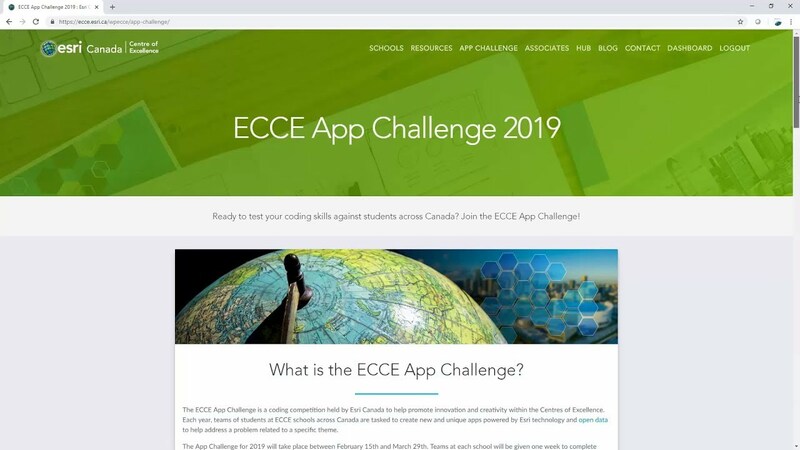 If you have any questions related to the ECCE App Challenge, please contact the ECCE directors at your school, or email us at (ecce@esri.ca).